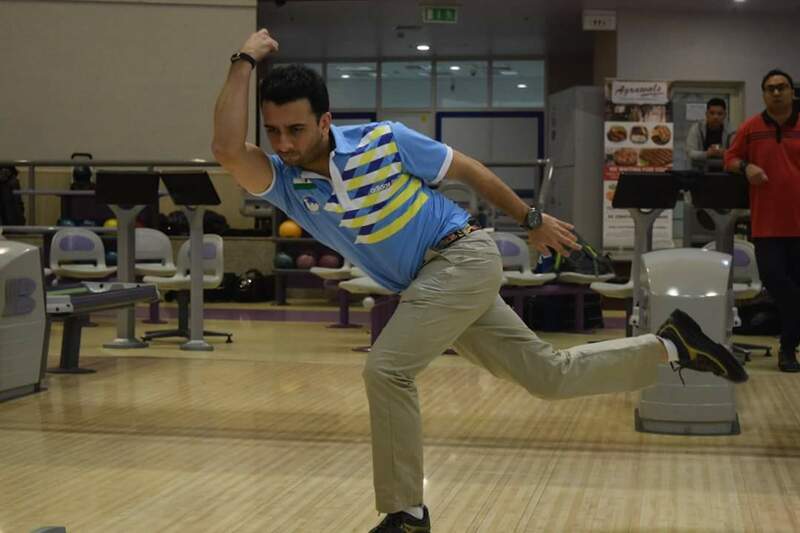 Akaash Ashok Kumar of Karnataka set the lanes on fire scoring his personal best 1401 pins in 2nd block of 6 games of Round 1 at the Uniply 28th National Tenpin Bowling Championship, currently underway at Amoeba, Church Street, Bangalore. In the 2nd Block of 6 games, played on Medium Oil Condition, Akaash started with scores of 214 and 215 in his first 2 games. In game 3 he scored 279 and followed it up with impressive scores of 235, 224 and 234. He moved up to the top position with total Pin fall of 2567 in 12 games with an Average of 213.92. Defending Champion Dhruv Sarda of Delhi put up a fine display scoring 1354 (250,238,279,213,186&188). Dhruv, who was in 15th position overnight, moved to 2nd position. Parvez Ahmed of Karnataka scored 1164 pins in his 2nd block dropped to 3rd position, with total pin fall of 2344. 5 bowlers from Karnataka are currently placed in top 12 Positions. Detailed Score Sheets ( Upto Round 2 Batch D ) are attached in this article and available for download.